Rare Replay got most fans excited for a new game from the award winning developers and Microsoft finally showed Sea of Thieves off a while ago. With each showing, it has been more and more apparent that it looks great but most wondered what you actually did in the game. Sea of Thieves has had a few closed alphas that were under NDA but they finally did a closed beta that was available to insiders and to anyone who pre-ordered Sea of Thieves. These impressions are based on that closed beta. Rare is one of the old seadogs in the gaming world being established in 1985 to develop games exclusively for the Nintendo Entertainment System. The studio made some of the most iconic titles for the platform, including the Donkey Kong franchise, GoldenEye and Banjo-Kazooie. During this time they also developed IP tie-ins for Disney IP’s and more traditional first-person fare like Perfect Dark. All this changed in 2002 when the developers were acquired by Microsoft. Although still a first-party developer, apart from an initial spate of re-releases of their older IP’s on the Xbox platform, most of their newer titles failed to garner sales vis-à-vis high critical acclaim. 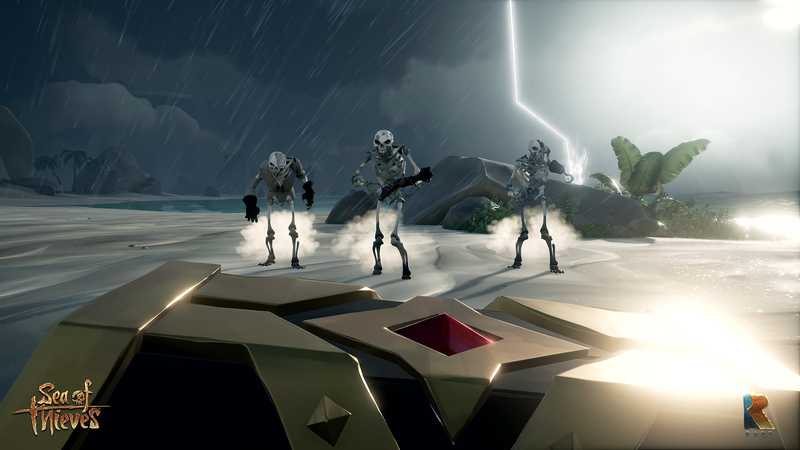 Which brings us to Sea of Thieves, Rare’s first new IP after Microsoft’s push for Kinect and the subsequent rollback. Sea of Thieves is an action-adventure co-operative multiplayer title which focusses on recreating the golden age of piracy albeit with certain exaggerations. 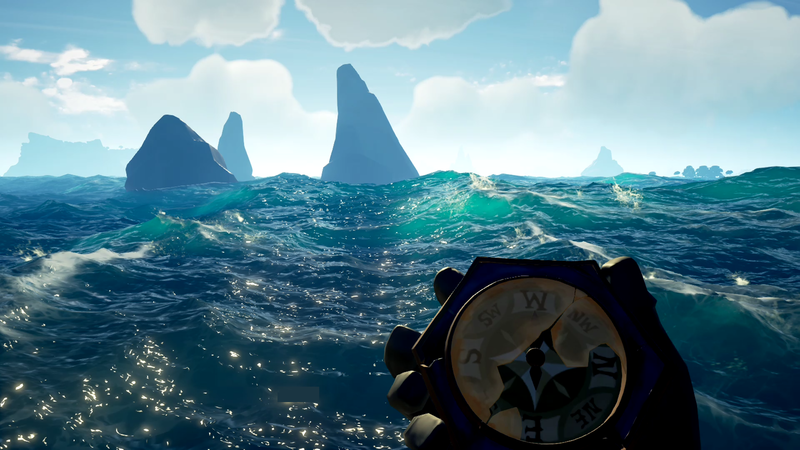 On booting up, there were some niggles with the servers being down but Microsoft and Rare extended the Closed Beta to make sure people could spend some more time on the high seas. When I finally managed getting logged in, the game gave me the choice of partying up with a random group of players in a crew or alternately going solo. The load screen also houses the option to initiate a party up from anyone in your friend list. This is augmented by the fact that Sea of Thieves supports cross-play between Xbox One and Windows PC players. 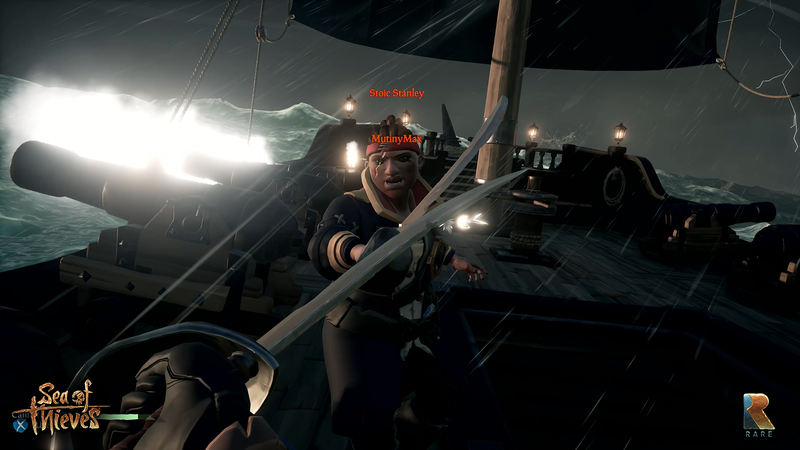 Sailing the high seas with a crew is the best way to enjoy Sea of Thieves but this was not possible during the Beta. Due to the VoIP and text chat refusing to function on my PC combined with the fact that I was playing with random parties; Communication which is key for running shipshape was impossible. Crew members had to figure out how to man the various stations appropriately with the settings only being good as a reference for the control scheme and tweaking the audio levels. Trying to run a small sloop solo was cathartic but did not solve the inherent problem of this Beta, a lack of any guidance. The whole experience founders and due to no easy way to communicate with the other players devolved into trolling swipes at one another. The stock controls on the Xbox controller are good enough for use on the PC with the keyboard and mouse controls feeling derivative to use but overall after about an hour of use you should get your sea legs and if you are not happy, remapping them is always an option. The rumble motors of the controller are super handy as you get good feedback during combat and manning the helm. For the most part, Sea of Thieves ran smoothly on the above configuration and the art direction coupled with some lovely animations was gorgeous. I did notice a fair amount of lag during one play session when engaged in a running battle with another sloop. Overall, the experience I walked away with from the Beta was a vast ocean with immense potential for content but currently hamstrung by poor in-game communication and player guidance systems. 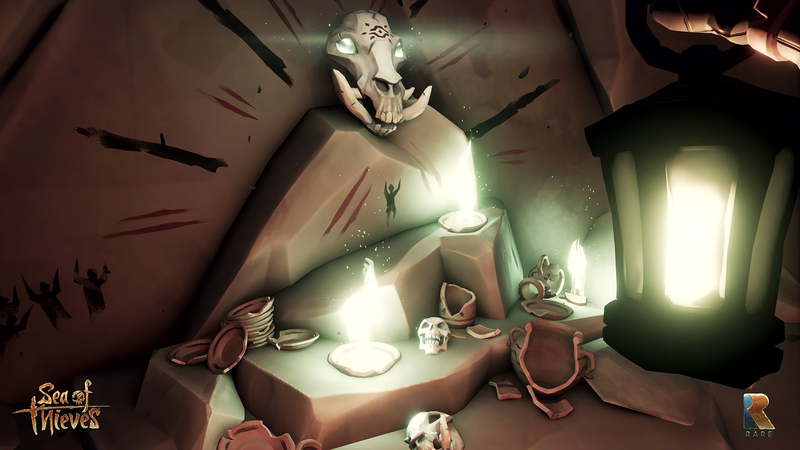 I hope Rare does a good job of letting people know what to do in the full game or doing more betas where people aren’t confused when they join a session. In a lot of ways, the beta felt like being thrown into a real life ocean with no direction or warning. 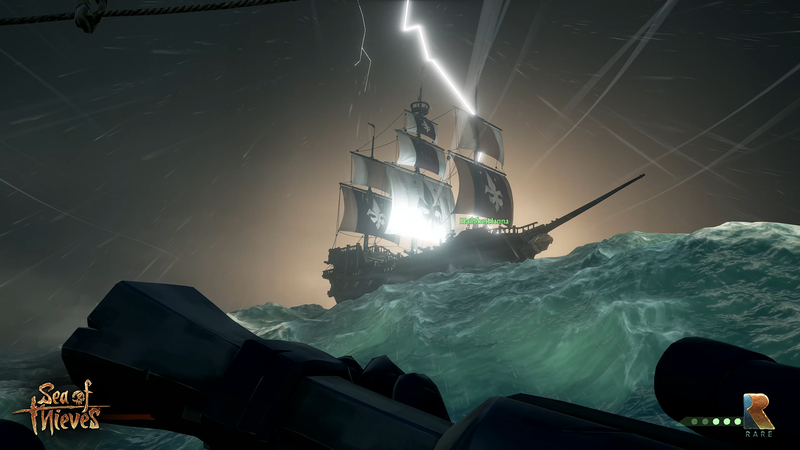 Sea of Thieves is currently scheduled to launch for the Xbox One and the PC via the Windows Store on the 20th of March. As of this writing, it is only available for pre-order digitally although we expect a listing to pop up on Amazon soon. The visuals and performance both on the Xbox One S and on the Windows 10 PC mentioned above leave us optimistic for what to expect when Sea of Thieves launches next month.